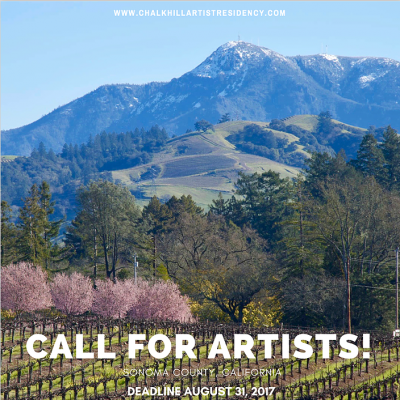 Applications are open to artists of all media – fine arts, design, multi-media, dance, performance, musicians, sound artists, writers, etc. Artists may attend the program for up to 2 to 10 weeks. All artists stay in a 1925 farmhouse. Upon occasion artist stays overlap and the house is shared with a fellow resident. Studio spaces are in repurposed rustic barns. Artists have the opportunity to show in a commission-free art exhibition to promote and sell work. Chalk Hill Artist Residency collaborates with local non-profit organizations supporting artists living with disabilities and hosts a Studio Program with local nonprofits during the resident’s stay.